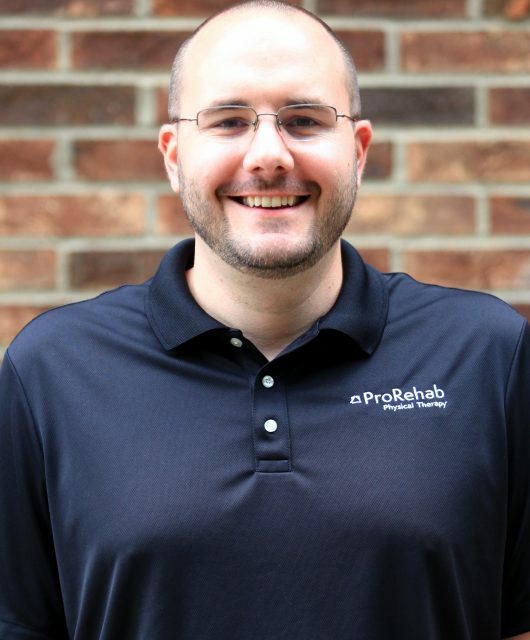 ProRehab Physical Therapy (PRPT) is pleased to announce the opening of our 11th clinic in South Louisville. Located at 8019 Dixie Highway in the PRP Plaza Shopping Center alongside Derby City MMA, the clinic will serve patients in the Parkwood, Prairie Village, Shively, and Pleasure Ridge Park neighborhoods at the request of many physicians who noticed a need for quality physical therapy for their patients in these areas. Physical therapy services offered from the clinic will include manual, orthopaedic, and sports physical therapy to reduce and prevent musculoskeletal aches and pains, metabolic conditioning to assist with weight loss, and specialized spine care. Louisville native Jason Walsh, PT, DPT, COMT, will serve as the South Louisville Clinic Director. He is a Certified Orthopaedic Manual Therapist (COMT) and enjoys treating patients of all ages, making it a priority to get to know each and every one and specializing treatment plans according to their specific needs. Dr. Walsh recently returned to Louisville after treating patients in Chicago for the last 10 years. To book an appointment with Jason Walsh at the South Louisville clinic, please click here.